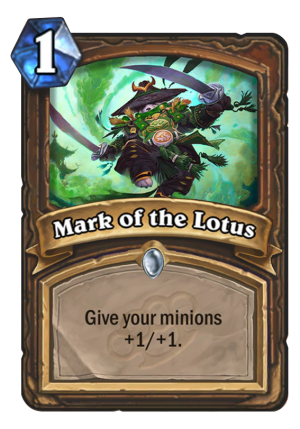 Mark of the Lotus is a 1 Mana Cost Common Druid Spell card from the Mean Streets of Gadgetzan set! Rating: 4.3/5. From 1387 votes. …Is Blizzard actually on drugs. Like WHAT. This is the most broken 1 mana card, ever. It’s funny because in literally ANY other class (except Warlock) This is ok. This in mage, this in hunter. But the one class that’s know to have a token class?! I think priest had this card in the alpha and it got removed because they thought it was overpowered at the time, and now they add it to druid, which is one of the 2-3 class that shouldn’t get it. 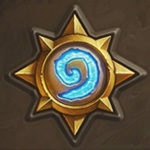 Maybe even pala with the rest of the new cards shouldn;t get this.